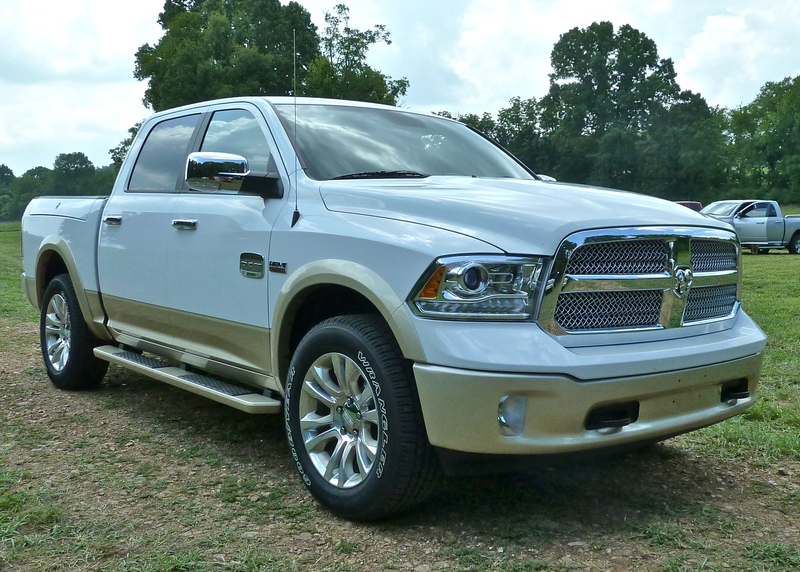 Ram Laramie Longhorn exudes luxury, like a sledgehammer in a velvet glove. It takes a great truck to be competitive among full-size pickup trucks, and whether you examine trucks anywhere from Ford, Chevrolet, Ram, Toyota, to GMC, every one is impressive in capability. It takes something extra to break through that brand loyalty and lure a truck buyer to switch allegiances. 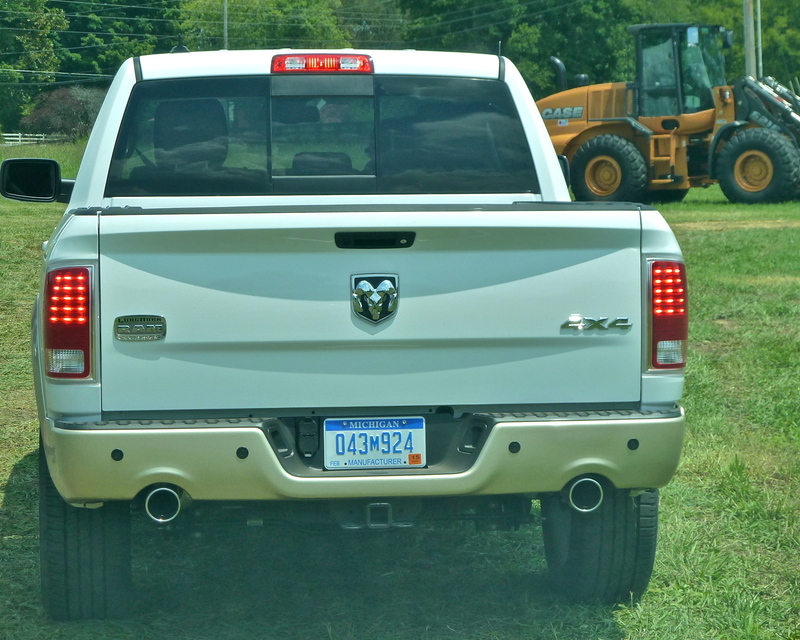 Dodge apparently had that in mind when it revised the 2013 Ram — which is no longer a “Dodge Ram” but simply a “Ram” nowadays. If it’s going to take special features and conveniences to attract truck buyers, the new Ram is loaded, from its kneeling stance for easy entry and exit via its adjustable ride-height 4-wheel air-suspension, to its high-tech V6 complement to the cylinder-deactivating Hemi V8, both operating through a very slick rotary-knob-controlled 8-speed transmission, to its inner comfort and connectivity. 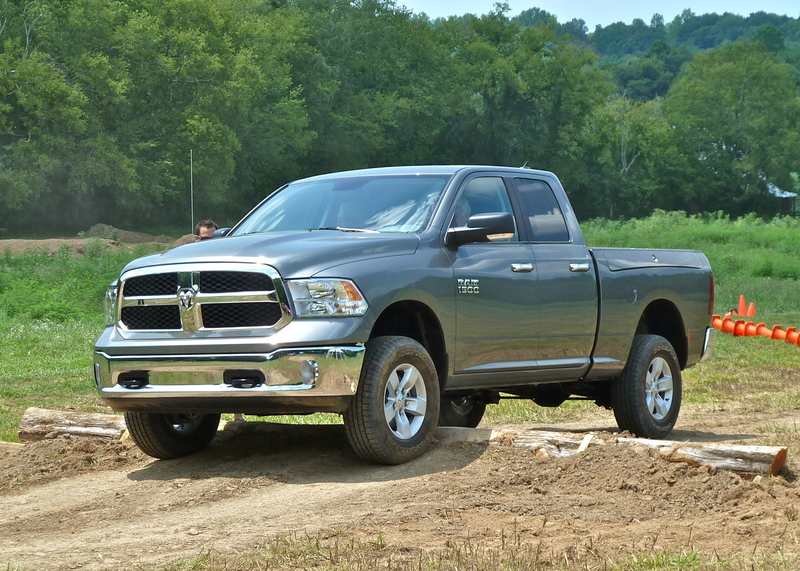 Aiming at class-leading hauling, towing and fuel economy, the Ram is also out bolster its forceful reputation by setting new standards for interior comfort and futuristic Uconnect connectivity — places where the competitors might have previously had an edge. 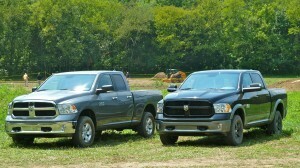 There are nearly as many available grille color choices as there are Rams themselves. 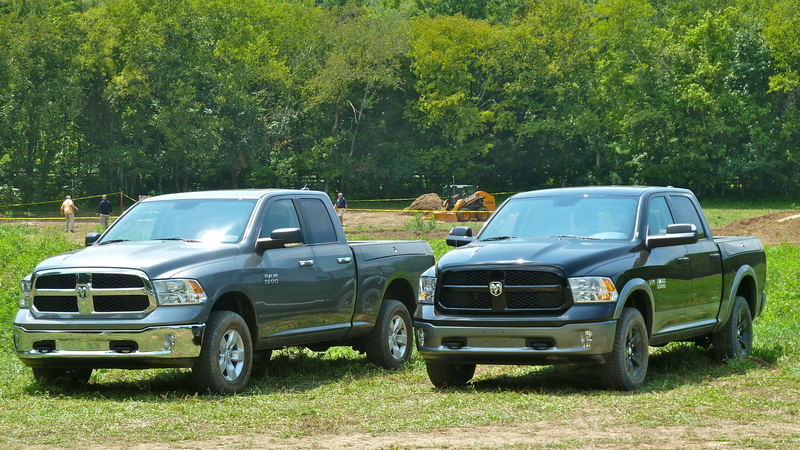 Aerodynamic touches are everywhere, even on the tailgate of the new Ram. 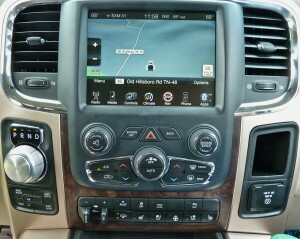 Choices of interior designs all feature Uconnect, and rotating shifter knob on center stack. Adjustable air-suspension ride height helps to clear off-road obstacles. 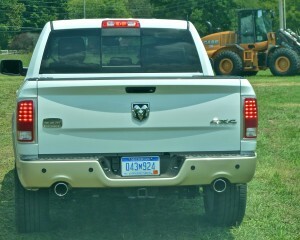 When the current Ram came out in 2009 was the addition of Ramboxes, the cleverly designed narrow little storage bins located in both sides of the bed walls, with hinged covers running along the top edge. 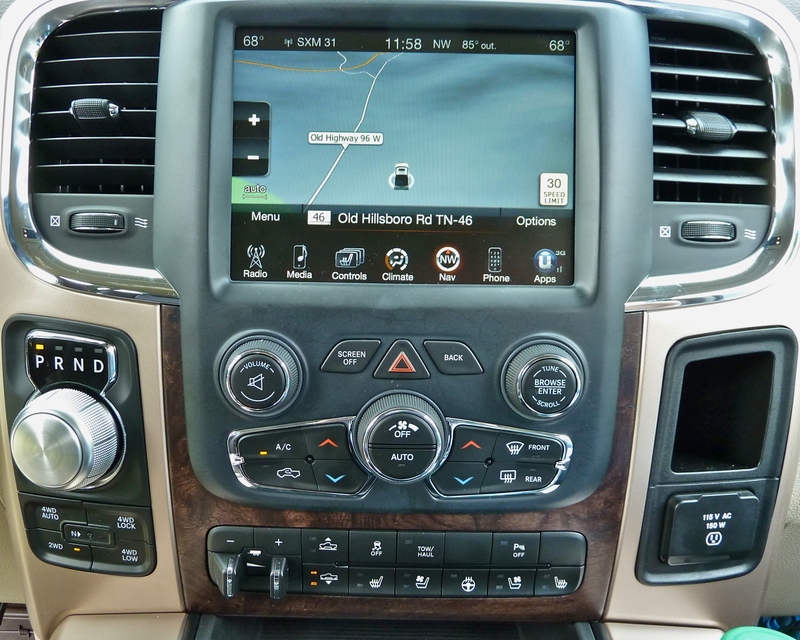 It has been a popular feature, and it is enhanced on the new truck by being lockable at one touch, along with the tailgate, whenever the driver hits the key fob to lock the doors.